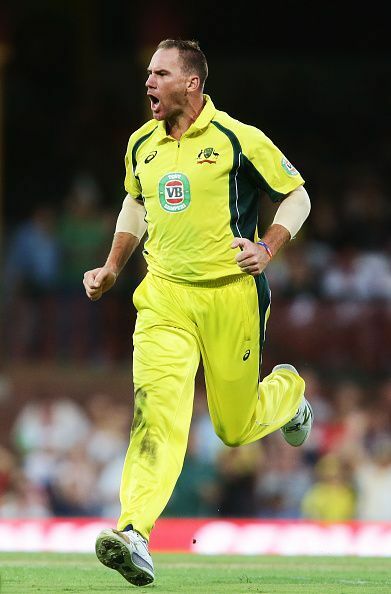 Born on 4th April, 1985, New South Wales, John Wayne Hastings is a right-arm fast-medium bowler who plays for the Australian national team. Hastings is an astute all-rounder who also possesses strong lower-order batting skills. He is nicknamed ‘The Duke’. Hastings hails from a sports inclined family from Penrith and he was proficient in rugby as a child, but soon took up cricket professionally. Hastings made it to the Victoria One-Day side for the 2007/08 season. Hastings was felicitated with Bradman Young Cricketer of the Year award in the year 2010. He came into the Australian national team in the year 2010. He debuted in the Indian coastal city of Vizag and ended up taking two wickets and scored 44 runs. He picked up the wickets of Virat Kohli and Mahendra Singh Dhoni in the same over. With his exemplary start to international cricket, he was named in the Australian squad for the 2011 ICC Cricket World Cup. After his overwhelming performance in his opening match for Victoria, Hastings played three first-class games in the 2008/09 season. Even though he was battling with an injury, the Australian managed to pick up 16 wickets in these three games including a 5-wicket haul against New South Wales. Hastings took 36 wickets in the Sheffield Shield and also he scored 446 runs with his bat. Hastings bounced back in the 2013/14 season of the Sheffield Shield as he took 27 wickets at an average of 24.51, after battling from a serious shoulder injury. The year 2011-2012 Hastings was diagnosed with a career-threatening shoulder injury which prevented him from playing the 2011/12 season. Hastings was auctioned for Kochi Tuskers Kerala for US$20,000 in the Indian Premier League. In 2014, he was signed by Chennai Super Kings. He was also contracted to English county side Durham and presently plays for the Melbourne Stars in the Big Bash League. In October 2017, Hastings announced his retirement from Test and One Day International cricket.